Burlington, NJ November 14, 2018 – Infraspection Institute is pleased to announce the availability of free video content for thermography websites. An entire series of Frequently Asked Questions (FAQs) are available free-of-charge through Infraspection Institute’s YouTube channel. 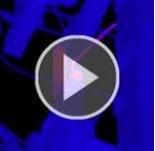 Narrated by Infraspection Institute personnel, these video FAQs provide accurate, straightforward answers to the most commonly asked questions in thermography and thermal imaging. Delivered online through the Infraspection Institute YouTube Channel, these short videos (less than 60 seconds) are available to anyone wishing to add professional content to their website. Subscribers are able to select questions which are most appropriate for their website. Participation is voluntary and one may opt out at any time. In order to participate, simply fill out the form found on the Video FAQ page on the Infraspection Institute website. Because Infraspection Institute values client privacy, all information is kept confidential and will never be sold or shared with others without a subscriber’s express consent. Infraspection Institute is the oldest independent infrared training and certification firm in the world. 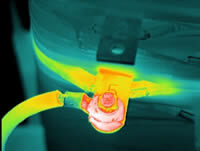 Founded in 1980, Infraspection Institute has trained and certified over 10,000 thermographers worldwide. During their long history, they have shaped the infrared industry through training, technical consulting, publications, research, standards development, and software development. Open enrollment classes are held regularly in West Windsor, NJ. Training is also available through their comprehensive, web-based Distance Learning Program.